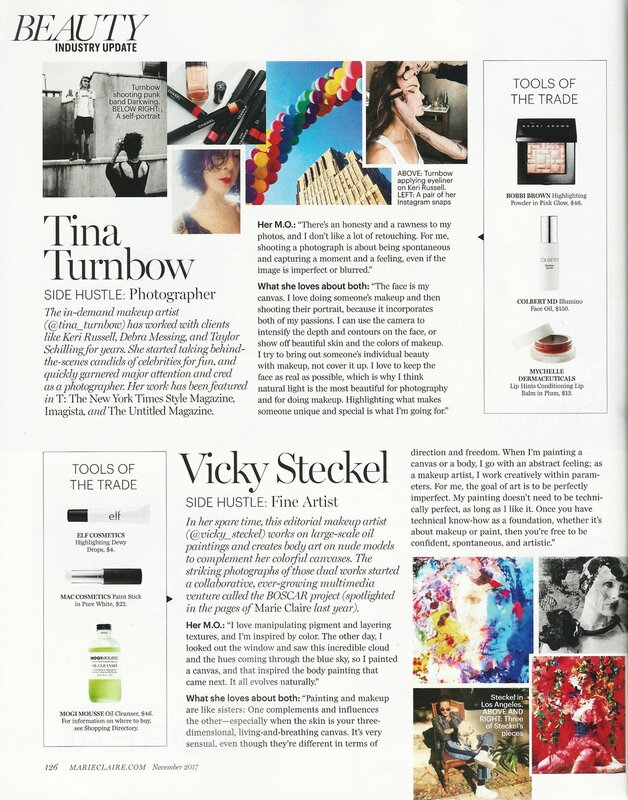 We are honored and proud that MOGI MOUSSE Oil Cleanser is featured by amazing fine artist and make-up artist Vicky Steckel, bryanbantry.com/vicky-steckel, of B/O/S/C/A/R PROJECT, boscarproject.com in this month’s edition of Marie Claire. Thank you Vicky. Please stay tuned for a beautiful collaboration with Vicky Steckel and MOGI MOUSSE.